Cycle for Survival, the movement to beat rare cancers, welcomed more than 1,000 supporters to Times Square on September 30 for the fourth annual Times Square Takeover, an all-day celebration featuring seven high-energy cycling rides on stationary bikes, led by instructors from Equinox, Cycle for Survival’s founding partner. 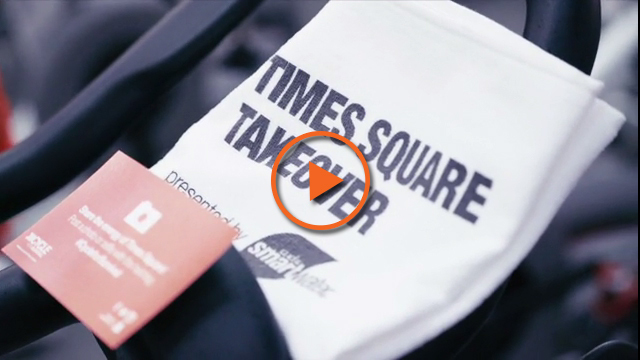 The Times Square Takeover was presented by smartwater®, the longstanding official hydration sponsor. T-shirts were provided by New Balance, the official apparel sponsor. 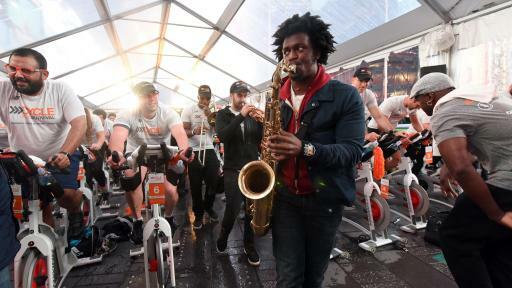 Rare cancer survivors, patients, caregivers, Memorial Sloan Kettering Cancer Center doctors and special guests rode together on Friday in the heart of New York City to raise awareness about the fight to beat rare cancers. 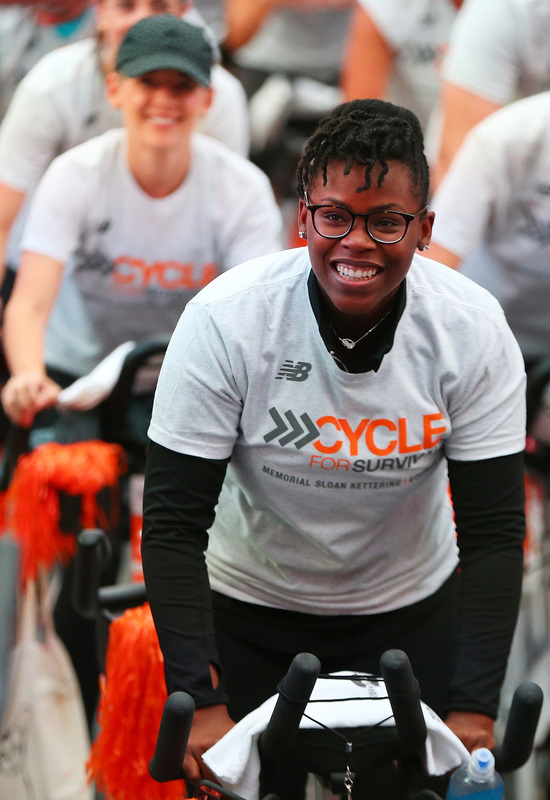 They celebrated the launch of Cycle for Survival’s 11th year of indoor cycling rides, which will take place in 16 cities across the country this February and March, with 31,000 riders participating. About half of the people diagnosed with cancer are battling a rare cancer, a classification that includes pancreatic, thyroid, brain, ovarian, all pediatric cancers and many others. Rare cancer research is typically underfunded, often leaving patients with limited or no options for treatment. 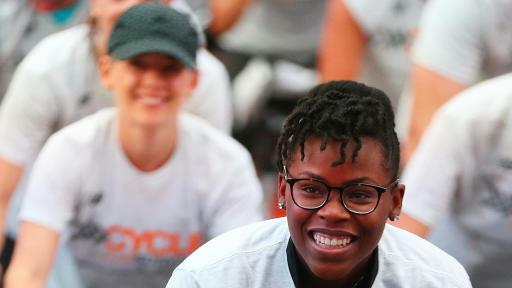 Cycle for Survival is helping to fill this funding gap by supporting cutting-edge research led by Memorial Sloan Kettering. 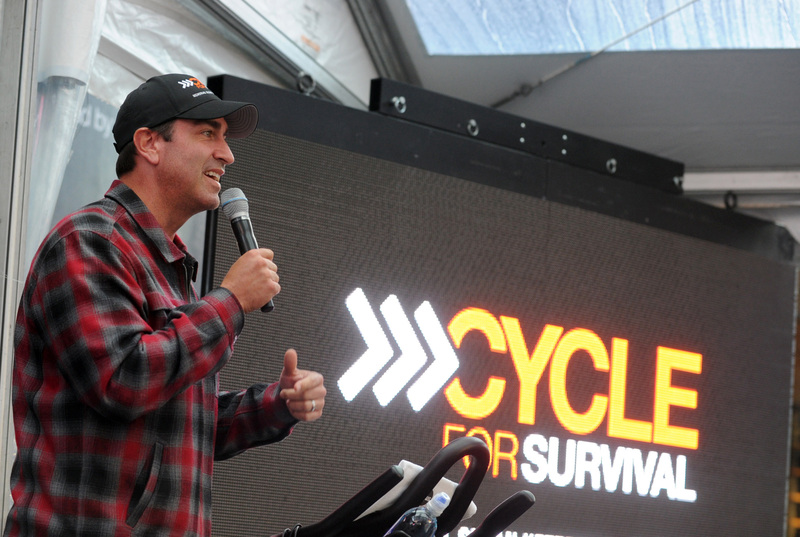 Every dollar raised is allocated to research within six months of the indoor cycling rides. 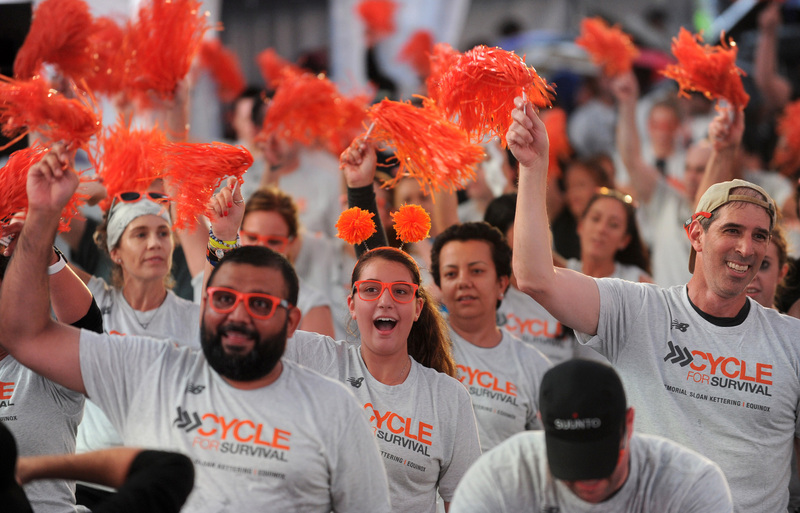 Cycle for Survival has contributed to important research discoveries for many types of the disease. 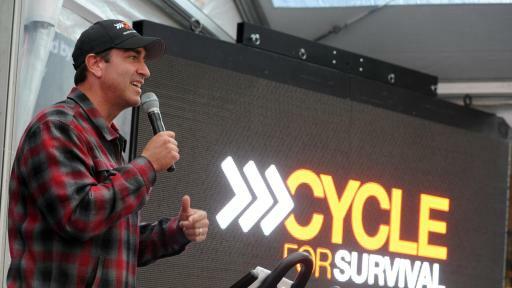 To learn more about recent breakthroughs made possible by Cycle for Survival funding, please visit CycleforSurvival.org/research-breakthroughs. For photos, videos, FAQ and additional information on the Times Square Takeover and Cycle for Survival, please download the online media kit at news.cycleforsurvival.org. Join the Battle. 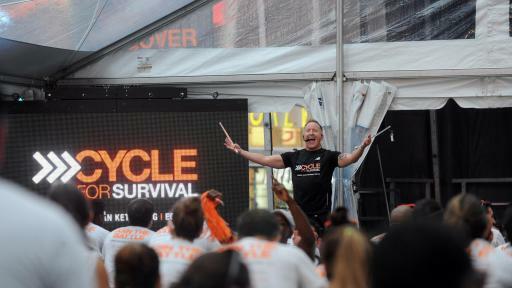 Cycle for Survival is the movement to beat rare cancers. 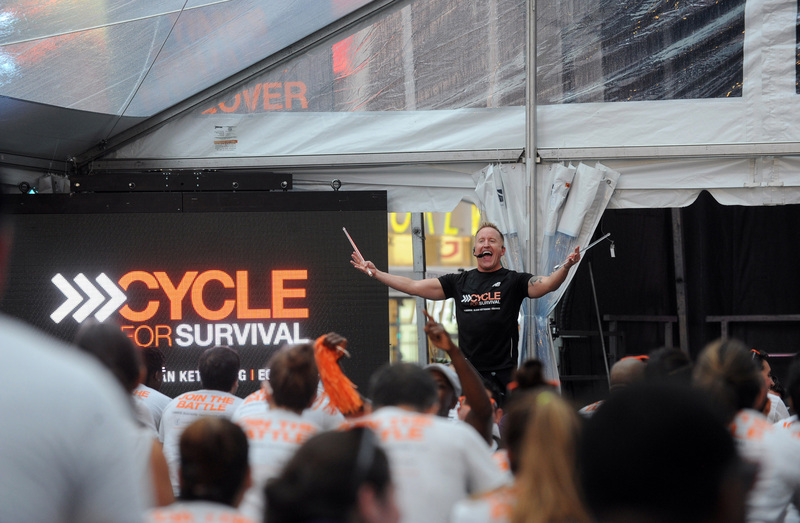 Since 2007, Cycle for Survival has raised more than $105 million through its signature indoor team cycling events across the U.S. to help fund pioneering rare cancer research led by Memorial Sloan Kettering Cancer Center, which owns and operates Cycle for Survival. 100 percent of every donation funds rare cancer research. About half of all cancer patients are fighting a rare cancer, and they often face limited or no treatment options. 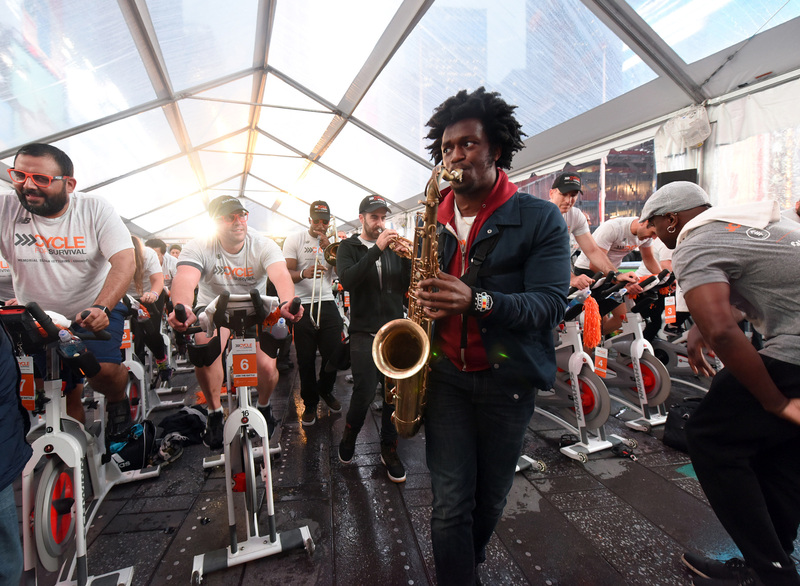 Together with the movement’s founding partner, Equinox, Cycle for Survival has supported innovative clinical trials, research studies, and major research initiatives. 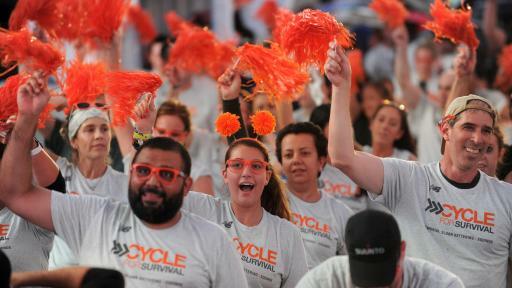 For a list of events, research updates, and additional information, visit www.cycleforsurvival.org and follow Cycle for Survival on Facebook, Instagram, YouTube, and Twitter. Memorial Sloan Kettering (MSK)—the world's oldest and largest private cancer center—has devoted more than 130 years to exceptional patient care, innovative research, and outstanding educational programs. Today, it is one of 45 National Cancer Institute–designated Comprehensive Cancer Centers, with state-of-the-art science flourishing side by side with clinical studies and treatment. The close collaboration between MSK's physicians and scientists is one of its unique strengths, enabling it to provide patients with the best care available as researchers work to discover more-effective strategies to prevent, control, and ultimately cure cancer in the future. MSK's education programs train future physicians and scientists, and the knowledge and experience they gain has an impact on cancer treatment and biomedical research around the world. Equinox operates 83 upscale, full-service clubs in New York, Chicago, Los Angeles, San Francisco, Miami, Boston, Texas and Washington, DC, as well as international locations in London and Toronto. The company offers an integrated selection of Equinox-branded programs, services and products, including strength and cardio training, studio classes, personal training, spa services and products, apparel and food/juice bars. Equinox’s hotel properties will cater exclusively to the high performance traveler and will fuse luxury and wellness to serve as the ultimate hotel destination with a 360-degree lifestyle experience. Offering the bespoke experiences and unparalleled services consumers have come to expect from Equinox over its 25-year history, Equinox’s hospitality brand will grow to 50 worldwide locations. Since its inception in 1991, Equinox has developed a lifestyle brand that represents service, value, quality, expertise, innovation, attention to detail, market leadership and results. IT’S NOT FITNESS. IT’S LIFE. The Coca-Cola Company (NYSE: KO) is the world’s largest beverage company, refreshing consumers with more than 500 sparkling and still brands and more than 3,800 beverage choices. Led by Coca-Cola, one of the world’s most valuable and recognizable brands, our company’s portfolio features 20 billion-dollar brands, 18 of which are available in reduced-, low- or no-calorie options. Our billion-dollar brands include Diet Coke, Coca-Cola Zero, Fanta, Sprite, Dasani, vitaminwater, Powerade, Minute Maid, Simply, Del Valle, Georgia and Gold Peak. Through the world’s largest beverage distribution system, we are the No. 1 provider of both sparkling and still beverages. More than 1.9 billion servings of our beverages are enjoyed by consumers in more than 200 countries each day. With an enduring commitment to building sustainable communities, our company is focused on initiatives that reduce our environmental footprint, create a safe, inclusive work environment for our associates, and enhance the economic development of the communities where we operate. Together with our bottling partners, we rank among the world’s top 10 private employers with more than 700,000 system associates. For more information, visit Coca-Cola Journey at www.coca-colacompany.com, follow us on Twitter at twitter.com/CocaColaCo, visit our blog, Coca-Cola Unbottled, at www.coca-colablog.com or find us on LinkedIn at www.linkedin.com/company/the-coca-cola-company.